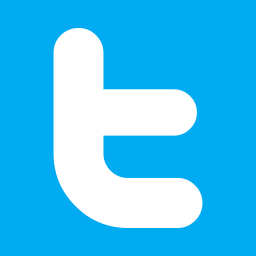 This image was taken at the Hideout Ranch in Shell, Wyoming. 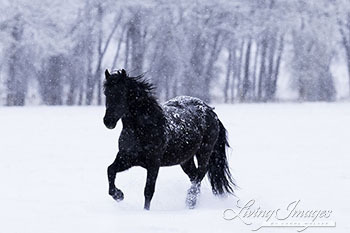 A beautiful black horse runs in the softly falling snow, and the contrast of the black horse and the white snow makes a dramatic image. This image was taken in the Adobe Town Herd Area in Wyoming. 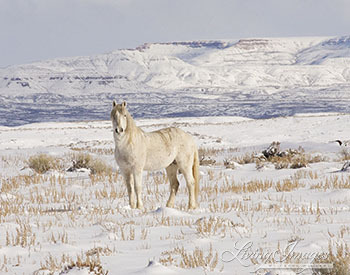 A wild stallion stands and looks with the gorgeous background of Kinney Rim, all covered with snow.